Sometimes simple is best. 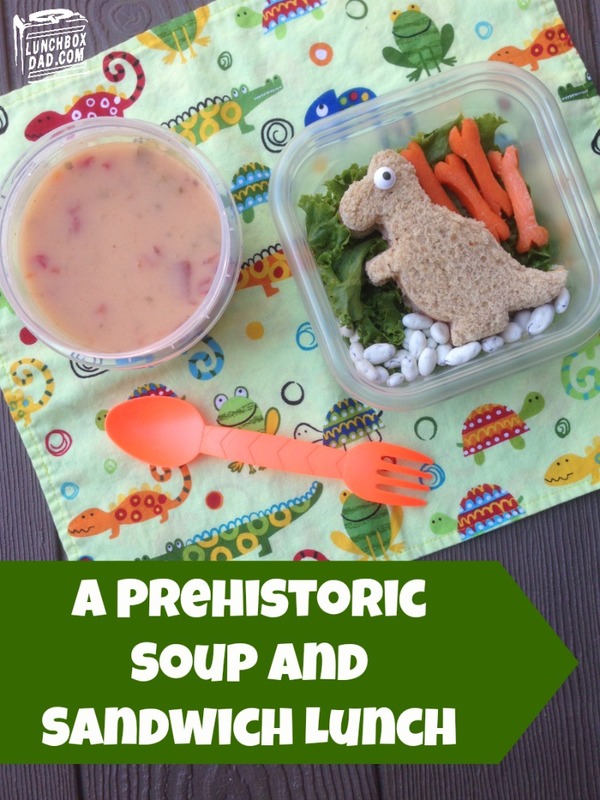 There is nothing wrong with a little soup and sandwich combo for your kids. My daughter won't eat this everyday but it is a great special occasion lunch when you are on the run and only have a few minutes. What's the secret? I just dug out my old dinosaur cookie cutter. Cookie cutters are a parent's savior when you trying to make a fun lunch fast. Reusable containers work well for both the sandwich and the soup. If you have been putting off trying a fun lunch because you thought it would take too much time or be too complicated, this is the one to make. It doesn't get much easier than this! So make your kid's day and help them be the envy of their class at school. Remember to follow me on all my social media channels. I post different fun and funny parenting pictures, quotes, and tutorials on each. Don't miss out! 1. The dinosaur cookie cutter can be any shape. Use the cookie cutter on two pieces of bread, your child's favorite lunch meat, and cheese. Put it all together in a sandwich. 2. Place lettuce and sandwich in a Ziploc® reusable container. If you want, use a sugar googly eye on top of the sandwich. You can "paste" it on with a dab of cream cheese. Drop yogurt covered raisins in the bottom of the container for dinosaur eggs. 3. Carve baby carrots into dinosaur bone shapes. 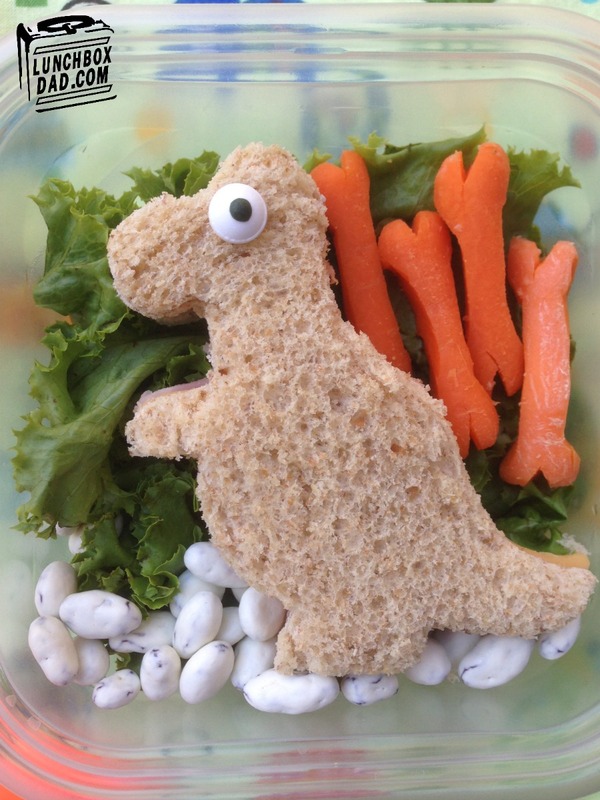 Many kids won't touch carrots, but they will at least try one in the shape of a dinosaur bone. Arrange carrots wherever you want in the container. 4. Pour your child's favorite soup into a reusable bowl that stays shut and is microwave safe like this Ziploc® container. Don't forget the spoon!